Last tour starts: one hour before closing time - 18:00 during summer and 17:00 the rest of the year. Cueva de los Verdes (Green Caves) is situated very close to Jameos del Agua and it's one the best places to visit in Lanzarote if you want to learn more about the volcanic history of the island. This famous cave is located in the municipality of Haria and it's a volcanic structure, a tube that was formed 5000 years ago, prior to the eruption at Timanfaya. The volcanic tube is 7 km long, extending from the Corona volcano up to the coast and then it continues underneath the ocean for 1,5 km in what is known as the Atlantida Tunnel. 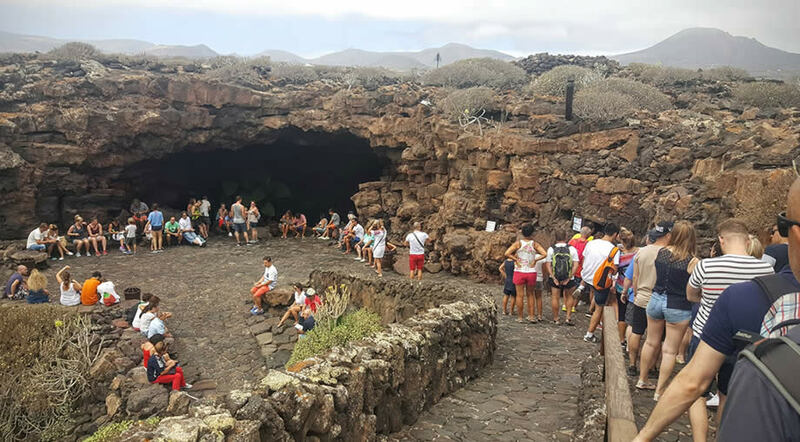 Cueva de los Verdes can be visited during a 1 hour guided tour, where you will explore the inside of the tube and learn more about the history of the island, as you are able to observe the many layers of lava from the several eruptions that took place over time. Tourists can access the lava tube through a jameo, which is a opening like a grotto or cave. The lava tube extends all the way to the ocean and it's connected to the lava tube at another attraction called Jameos del Agua. Cueva de los Verdes has had artificial lights installed since 1964 and all the work inside was done under the supervision of Jesus Soto. Jesus Soto also supervised part of the works done at Jameos del Agua. Inside the Green Caves in Lanzarote there is a concert hall, similar to the one in Jameos del Agua. This was the first lava tube auditorium on the island and it was used until the bigger, more impressive hall at Jameos was opened to the public. You've maybe heard people talk about the secret at Cueva de los Verdes, but if you haven't visited yet, we advise you not to look into it any further, so you won't spoil the surprise. We do recommend a visit to this cave to anyone visiting Lanzarote, so if you plan on making the trip here, have a little patience to find out on your own what the "secret" is. Cueva de los Verdes is part of a tunnel formed by an eruption of the nearby Corona volcano.The lava tube extends all the way to the ocean and then under the Atlantic Ocean, forming what is known as the Atlantida Tunnel. Atlantida Tunnel is actually the longest volcanic submarine lava tube known on Earth, so Cueva de los Verdes is a unique place, where you can learn more about the origins of Lanzarote. The name of the cave has nothing to do with what you can find inside. 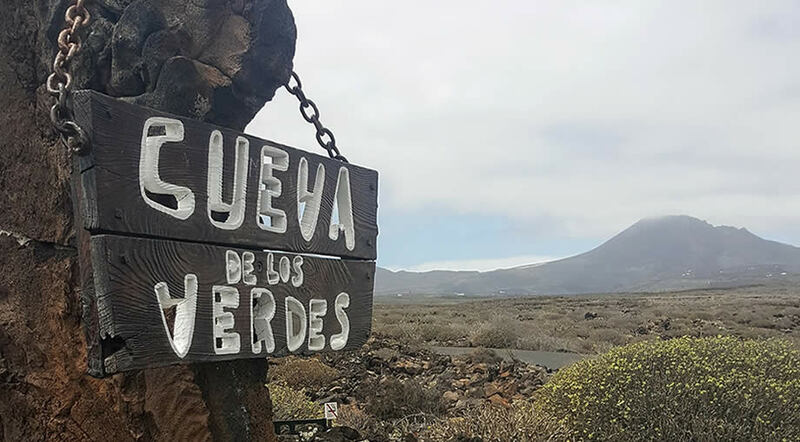 The name Cueva de los Verdes derives from the name of a shepard who lived here along with his family during the 18th century. Back in the 17th century, the caves represented a hiding place for locals from the pirates that arrived in Lanzarote. The tour at Cueva de los Verdes is circular and it crosses a distance of about 1,3 km. Please be aware of the fact that you will have to go up and down and in some of the places the corridors are narrow and the ceiling are low. Comfy shoes are advisable. No high heels or flip flops. During the summer months there are lots of guided tours coming to Cueva de los Verdes, so for individual visits it's better to come after 3 PM. The image above was taken in September at around 3 PM.